NEW HAVEN, CT | The Ellington Jazz Series at the Yale School of Music kicks off its 2012–2013 season on Friday, September 14 with a concert featuring the MINGUS BIG BAND. The Grammy Award-winning Mingus Big Band celebrates the music of the composer and bassist Charles Mingus, who died in 1979. Under the artistic direction of Sue Mingus, the widow of Charles Mingus, the 14-piece band tours extensively in the United States and abroad. The ensemble has ten recordings to its credit, six of which have been nominated for Grammy Awards. The 2010 album Mingus Big Band Live at Jazz Standard won a Grammy for Best Large Jazz Ensemble Album. The members of the Mingus Big Band performing in this concert are: Alex Sipiagin, Greg Gisbert, and Philip Harper (trumpets); Craig Handy, Alex Foster, Abraham Burton, Wayne Escoffery, and Lauren Sevian (saxophones); Ku-umba Frank Lacy, Luis Bonilla, and Dave Taylor (trombones); Donald Edwards (drums); Boris Kozlov( bass); and Helen Sung (piano). 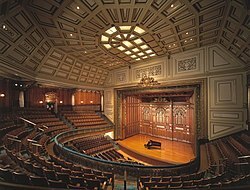 The concert begins at 8 pm in Morse Recital Hall, located in Sprague Memorial Hall (470 College Street, New Haven). Tickets are $20–$30, $10 with student ID. Season tickets to the Ellington Jazz Series begin at $51. Quite a band, quite a venue and quite a repertoire - this bodes well for music lovers. On the same night, right across town, the Firehouse 12 Fall 2012 series opens with drummer/composer E.J. Strickland. More on both shows shortly. Reviews return over the weekend. I am continually impressed and heartened by the number of younger people who find their way into jazz - many of them are already moving beyond the neophyte stage and launching serious careers. 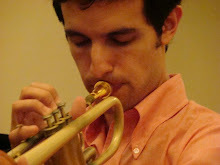 Michael Feinberg, a native of Atlanta, Georgia, is, like many jazz fans, drawn to the music of the classic John Coltrane Quartet of the early-to-mid 1960s. But, it's the work of drummer Elvin Jones (1927-2004) that most attracted the 25-year old bassist. When he began to conduct a deeper study of Jones's career, Feinberg found the drummer working with bassists such as Gene Perla (still playing at age 72), Richard Davis, George Mraz, and Dave Holland. Feinberg's new recording, his 3rd as a leader, is dubbed "The Elvin Jones Project" (Sunnyside Records) and features the excellent work of Billy Hart (drums), co-producer George Garzone (saxophone), Tim Hagans (trumpet) and Leo Genovese (piano, Fender Rhodes) - guitarist Alex Wintz appears on 2 of the 7 tracks. "The Elvin Jones Project" can best be described as "inspiring music by inspired musicians" - bassist Michael Feinberg allows his musicians to be themselves and the music is better for it. On top of that, Feinberg continues to impress as a musician who knows where he wants his music to go. The CD will be released on September 11, 2012. For more information, go to www.michaelfeinbergmusic.com. Reviewers can be such a fussy lot. We want to write about serious, earth-shaking, music and, there are times, that that desire is a detriment to paying attention to recordings deserving to be noticed because...well, because the music is relaxing or silly or whose only message is "listen to these musicians have fun working together." 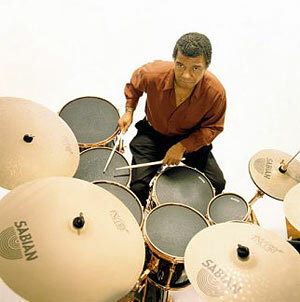 Duduka da Fonseca, a native of Rio de Janiero, is one of the busiest drummers in the world, working in various ensembles including Trio Da Paz, alongside Tom Harrell, Dom Salvador, Nana Vasconcelos, Phil Woods, Milton Nascimento, Joe Locke, and many others. 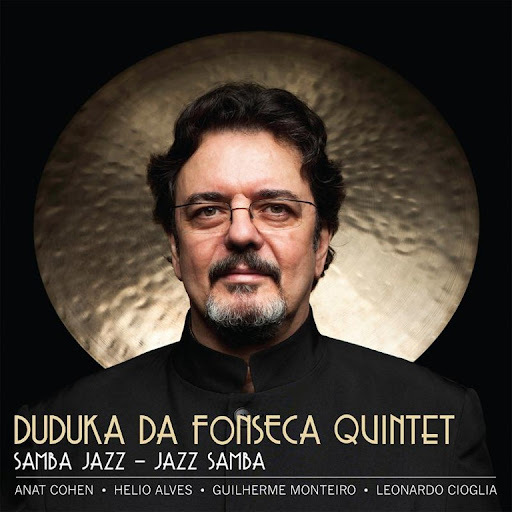 His Quintet has been in existence since 2002 and features his long-time associate Helio Alves (piano), Anat Cohen (clarinet, tenor saxophone), Guilherme Monteiro (acoustic and electric guitar) and Leonardo Cioglia (bass). "Samba Jazz - Jazz Samba" (Anzic Records) is the ensemble's 2nd CD and is a fine accompaniment to a sunny day on the beach, the back porch or driving around with the windows. 8 of the 10 tracks are by Brazilian composers including the leader's own ballad, "Flying Over Rio", featuring the sweetest tenor sax solo from Ms. Cohen and a gentle ramble from the pianist. Da Fonseca, who rarely solos on this session, gets the spotlight at the top of Raul Mascarhenas' flashy "Sabor Cariocas" - the "trading 4s" section at the close is a real treat. The arrangement of Antonio Jobim's "Rancho Das Nuvens" has such an intelligent blend of the 5 instruments, whether it's the piano and clarinet in the lead or the fine support from Monteiro, Cioglia and Da Fonseca. It's a work unfamiliar to me but is one of Jobim's most handsome melodies (yes, he wrote a slew of them) and this reading is excellent. Toninho Horta's "Dona Olimpia" sounds influenced by The Beatles' "Norwegan Wood", an up-tempo ballad with a hearty tenor solo over Cioglia's pulsating bass and the leader's active drums. One of the other pleasing surprises is the bouncy reading of Ornette Coleman's "Blues Connotation", a joyous romp filled with short, pithy, solos. Montiero's quiet "blue" guitar chords lead Ms. Cohen's sweet clarinet on Jimmy Rowles' "The Peacocks" - the blend of guitar and acoustic piano accompaniment is intelligent and uncluttered. Montiero's subdued solo, with Alves' rich piano chords offering a strong foundation, is quite fine. "Samba Jazz - Jazz Samba" does have that combination alluded to in the title and much more. Everyone contributes, no one hogs the spotlight and the wide variety of material introduces the casual listener to several fine Brazilian composers. Spend a bit of time with the Duduka Da Fonseca Quintet and chances are very good you'll want to spend more. For more information, go to www.dudukadafonseca.net. If variety is the spice of life, "Bop! Bang! Boom!" 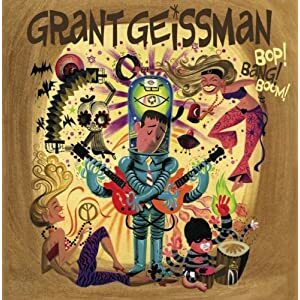 (Futurism Records), guitarist Grant Geissman's 15th recording as a leader, has something for just about every guitar lover (sorry, no "death-metal" or reggae), even a track ("Go To The Window") on which he plays electric sitar. 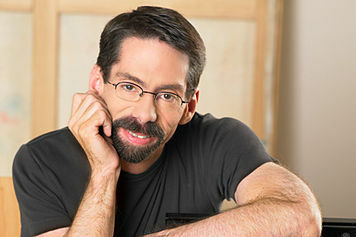 In a career that spans nearly 4 decades, Geissman has worked as a studio musician (that's his solo on Chuck Mangione's mega-hit "Feels So Good") composed or played on soundtracks for television (he co-wrote the theme for "Two and a Half Men" and plays the solo on the theme from "Monk") and can be heard on the scores of numerous motion pictures. He can be heard adding numerous interesting sounds on the fine 2012 CD from composer/vocalist Lorraine Feather, "Tales of the Unusual". For much of this recording, Geissman uses the rhythm section from Tierney Sutton's band, bassists Kevin Axt and Trey Henry (but not together) plus her drummer Ray Brinker, along with pianist Emilio Palame, percussionist Brian Kilgore and saxophonist Brian Scanlon. Plenty of the guitarist's friends show up including fellow pickers Albert Lee and Larry Carlton on the rip-roaring "Texas Shuffle" as well as Dennis C. Brown and Chuck Lorre on the burning slow blues titled "Take Yer Time." Russell Ferrante, he of Yellowjackets, takes the keyboard chair on a pair of tracks, adding his atmospheric Fender Rhodes on the crafty "Good Morning, Mr. Phelps" (Scanlon's soprano solo really stands out as does Axl's "slippery" bass lines) and acoustic piano to the charming "Un Poco Espanol" (Geissman's acoustic guitar work blends so well with the piano.) The tenor saxophone of Tom Scott is put to good use on the ultra-slinky "Q Tip" (for Quincy Jones), serving as a fine complement to Geissman's funky guitar solo (I detect a touch of Phil Upchurch in his phrases). Scott returns for the final track, the high-energy shuffle "Off The Grid" - he and Geissman,l along with organist Jim Cox, trade "8s" to take the track and CD out of a high level. The legendary Van Dyke Parks, with whom Geissman has worked on a number of projects, joins the fun, on accordion no less, for the Crescent City-inspired romp "$25 Stella" (named for the guitar the leader uses on the track. Henry switches to tuba for this track which also features percussionist Kilgore on washboard, spoons and hubcaps. The leader goes it alone on "Guitarism", well, kind of - he overdubs 2 acoustic guitars, handclaps and percussion on a flamenco-drenched dance dedicated to his guitar professor at Cal State/Northridge, Ron Purcell, who passed away last year. "Bop! Bang! Boom!" is the third CD in a trilogy, all of which feature a similar cast of musicians plus a number of fascinating guests. Holding each eclectic collection of songs and styles is Grant Geissman's sense of adventure, fun and integrity. He's not afraid to mix it up or to share the spotlight and no piece overstays its welcome. Also, the package is a hoot; the last time I had trading cards in my possession, there was a slab of bubble gum along with them. Give these tunes a listen and your worries just might drop away. For more information, go to www.grantgeissman.com. At the ripe old age of 20, trombonist-composer-vocalist Natalie Cressman has already had an extremely busy career. Daughter of vocalist Sandy and trombonist/engineer Jeff Cressman, she has played with Peter Apfelbaum, Josh Roseman, Wayne Wallace, Jai Uttal, the GRAMMY Jazz Ensembles, the SFJazz High School All-Stars and toured extensively for nearly 2 years with the Trey Anastasio Band. She's now studying at the Manhattan School of Music and is also enrolled in the Stanford Jazz Mentors program. brass and reeds, La Boeuf's impressionistic piano and Samama's lyrical bass work. Rosenberg's solo over the high-flying rhythm section goes beyond youthful imitation. As a trombonist, Ms. Cressman has a smooth tone, an easy facility and an innate ability to blend with the other musicians on the front line. Her solos have a lyrical bent, even on pieces (such as the opener "Flip") that really push hard. She also displays a articulate singing voice, words yet another important way to connect with an audience. Her version of "Honeysuckle Rose" (arranged by her and pianist Christian Sands) shows the influence of Esperanza Spaulding in the vocals and the rhythmic drive. Still, her over-dubbed vocals work well alongside the burbling Fender Rhodes and the fine drum work. Family friend and employer Peter Apfelbaum adds his strong tenor saxophone voice to the final track, the trombonist's original "That Kind." He takes a lengthy solo that leads to Ms. Cressman's spot, a whirling dervish of short phrases and long tones that have a dancing quality. Another one of her originals, "Skylight", is an exciting blend of driving rhythms and impressive solos that start quietly before rising on the fiery percussion of Goldbas. Still, the composer builds in softer sections that give the piece its sharp contrasts. "Unfolding" has much to recommend its purchase, from the creative interplay to the excellent rhythm section work to the striking solos to the pleasing vocal work. In the crazy musical environment that is 21st Century jazz, Natalie Cressman, while still a student, does not sound as if the conservatory has muted her desire to allow this music to go in multiple directions. There are those of us who enter this music through the rhythm section and Ms. Cressman has wisely chosen 3 musicians who truly shape this music to give the front line a substantial foundation on which to play. This is "play-filled" music, neither stodgy nor reverential. An impressive debut! 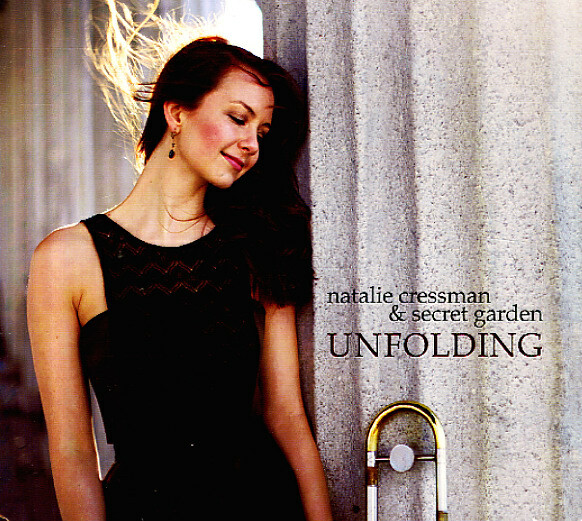 For more information, go to www.nataliecressman.com. One might imagine that if you put a 20-year old alto saxophonist in a studio with pianist Kenny Barron and bassist Ron Carter, she or he might be a bit awed. If Erena Terakubo, a native of Sapporo, Japan, was nervous, it's not at all evident on "New York Attitude" (4Q/King Records LTD) - in fact, this is the second time she's recorded with Barron (he appeared on her debut CD, released only in Japan. )With drummer Lee Pearson pushing the band from below, this music will please fans of straight-ahead jazz. What stands out for this listener is how natural and unforced this session feels. With a blend of recognizable standards ("This Here", "Invitation", "Star Eyes", "Body And Soul"), a pair of pieces from jazz masters ("Oriental Folk Song" by Wayne Shorter and the swinging "Del Sasser" by bassist Sam Jones), 2 originals, a song from fellow countryman Sadao Watanabe, and the title track by Barron, this program shines from the opening note. Dominick Farinacci adds his classy flugelhorn to both the Shorter and Jones tunes as well as his bright trumpet tones to "This Here." Still, the show belongs to Ms. Terakubo. She can be lyrical, as one can clearly hear on her piece, "That's The Truth" and frisky on blazing tracks like the title tune and "Invitation" (note the splendid percussion of Pearson.) She does not over-blow; even on the driving tracks, there's a bluesy sensibility to her phrases and tones. There are moments when one can hear the influence of Cannonball Adderley on her playful riffs and lighter sound. As to be expected, Kenny Barron's work sparkles throughout this program. Whether he's laying down a cushion of chords for Ms. Terakubo to soar atop or contributing his own short but absolutely "right-on" solo, he treats this music with respect and the saxophonist as an equal. Not deferring to her or overshadowing her contributions but playing as a partner. As for Ron Carter, he is the foundation, his thick tones pairing with the pianist's fine left hand work to offer counterpoint as well as his strong support. The brilliant engineering and mix allows one to hear just how much Lee Pearson brings to this music, whether it's graceful cymbal work or his strong forward motion. The title on the cover of "New York Attitude" credits the CD to "Erena Terakubo with Legends" - true, but, don't give short shrift to Ms. Terakubo's contributions. She plays with zest and joy; that gives one lots of hope that she is destined for a bright future. For more information, go to www.fourquartersent.com. 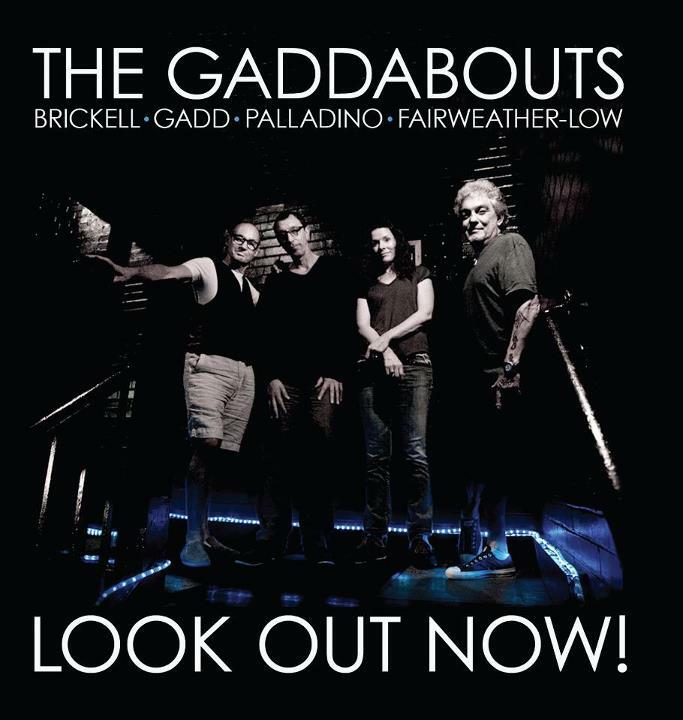 Those of us who have paid any attention to rock music over the past 3+ decades know the people who make up The Gaddabouts. Assembled by drummer Steve Gadd (his list of credits would take up way too much space but he has appeared on a slew of Paul Simon recordings), the quartet features bassist Pino Paladino, guitarist Andy Fairweather-Low (founded the British group Amen Corner in the 1960s and has played with George Harrison, Eric Clapton, Bill Wyman and others), and vocalist Edie Brickell (of The New Bohemians and Paul Simon's wife.) "Look Out Now!" (RaceCarLottaRecords) is their 2nd release and it's a blues-drenched 2-CD set filled with smart playing and good songs. Ms. Brickell possesses a softer but supple voice - she can be sly (as she shows on the political scree "Corruption"), sweet ("How I Love You" with the gentle marimba work of Mike Manieri), seductive (on the humorous "Don't Take All Day" or on the swamp groove of "Devil's Story" - sounds like Tony Jow White) and downright soulful (the hypnotic "River Rises"). Palladino's bass lines either rumble beneath the Gadd grooves or shadows the vocal lines but he never overplays. Fairweather-Low supplies most of the guitar work (Ms. Brickell and Palladino add background guitars) and he does not disappoint; whether it's the country-pop/skiffle beat groove of "Can You Feel It", the bluesy "wah-wah" solo on "Younger Woman" (great bass work as well) or the rippling acoustic riffs of "Wicked William", the guitarist hits all the marks. Gadd is so solid throughout the CD; his New Orleans beat enlivens the title track, his subtle high-hat and cymbal splashes on "River Rises" draws one right in and dig the way his snare snaps on "Corruption." Guests include Ronnie Cuber (baritone saxophone, tenor saxophone, flute,bass clarinet), percussionist Pedrito Martinez, Larry Goldings (piano, electric piano, organ and accordion!) and the afore-mentioned Mike Manieri (vibes, orchestra bells, marimba). Andrea Zonn adds her tasty violin to "Down" and Cuban-born Axle Tosca Laugart can be heard on the occasional acoustic piano part. Cuber is quite impressive with his strong background work and occasional solos. "Look Out Now!" is perfect music for a hot summer's night -the music goes down as easy as cold iced tea. These folks are "pros" and it shows. They don't try to do too much yet this music has subtle depths that will make come back many times. Of course, the "grooves" will make you smile. 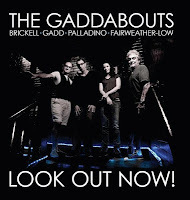 For more information, go to thegaddabouts.com. First question...What do you, your readers, King George I of England (Patron of George Frederick Handel), The Duke Johann Ernst of Weimar (Patron of J. S. Bach) and the National Endowment of the Arts have in common? Second question...what’s a nice Jewish girl like me doing... playing jazz and making a recording of music influenced by a Pakistani Qawwali vocalist, with an Iraqi trumpet player, a Palestinian percussionist and a pianist from the UK? By now, you are probably getting an idea of where I am going with this! But hopefully I’ve peaked your interest, right? You’ve come this far...SO if you would please take a moment of your time and click on this link, I will be so, so appreciative*! Ms. Baum's 2008 recording, "Solace" (Sunnyside), is such an impressive CD on many levels (compositions, arrangements, solos and group interplay.) When you click the link above, you will get a small taste of her new project; hopefully, it will pique your interest as it has mine. The final concert in the Hartford Jazz Society's "Monday Night in Bushnell Park" series features a band close to the Society's heart: Earl MacDonald and the HJS New Directions Jazz Ensemble. Pianist, composer, educator (at the University of Connecticut/ Storrs) and blogger (read it here), MacDonald proposed the creation of this 10-member "little" big band to the HJS and they agreed to backing its formation in 2010. He's the composer-in-residence and saxophonist Kris Allen is the artistic director; the band is a blend of younger and older musicians from the Hartford area and they create quite a joyful noise. Opening the show on Monday August 13 will be the Mike Casey Quintet - saxophonist Casey is the 2011 winner of the Hartford Jazz Society Scholarship. The music commences at 6 p.m. In case of rain (we seemed to have entered our "monsoon" season), the concert moves indoors to the Asylum Hill Congregational Church, 814 Asylum Street. Also, WWUH-91.3 FM in West Hartford will, as they almost always do, broadcast the show live. For more information, go to wwuh.org or call 860-768-4701. The Uncertainty Music Series continues its busy schedule on Wednesday August 15 when the Joe Moffett Quartet brings its exciting sounds to Elm Bar, 372 Elm Street in New Haven. Trumpeter Moffett, who studied with CT-based guitarist/bassist Joe Morris at the New England Conservatory in Boston, brings a group that features Noah Kaplan (saxophone), Dov Manski (Wurlitzer keyboard) and Jason Nazary (drums - Nazary and Morris recorded on Kaplan's recent "Descendents" CD while the drummer has also recorded with saxophonist Darius Jones.) The concert, the final one that the series will present at Elm Bar, begins at 9 p.m. For more information, go to uncertaintymusic.com. Next month, guitarist Michael Gregory returns to New Haven and the series, this time bringing his Trio to Neverending Books, 810 State Street. August is already upon us but the Festival season has not slacked off. This coming weekend (8/10-12), the Litchfield Jazz Festival returns to the Goshen Fairgrounds (yes, in Goshen CT) with a lineup that is sure to please fans of many different styles of jazz. The festivities open on Friday night with The Four Freshmen (7:30) followed by a live "Auction" at 8:30. The headlining act is Vince Giordano and The Nighthawks and they take the stage at 9:30 p.m.
Saturday's full day of music begins at 12 noon with the Helen Sung Trio featuring the indispensable bassist Reuben Rogers and the fine young drummer Obed Calvaire. At 1:45, the Sojourner Truth Project, a tribute to the 19th Century free African American women created by bassist Avery Sharpe, brings a most accomplished group to the stage including pianist Onaje Alan Gumbs and saxophonist Craig Handy. Following them at 3:30 p.m. is the brilliant young trumpeter Ambrose Akinmusire (pictured above) . and his Quintet featuring saxophonist Walter Smith III. Saxophonists Gary Smulyan (the baritone player is this year's Artist-in-Residence) and Eric Alexander will be joined by fellow saxophonists Jeff Lederer, Kris Allen and long-time Festival Music Camp director Don Braden in a "Salute to George Coleman" at 5:15. The rhythm section boasts of bassist Marcus McLaurine, drummer Matt Wilson and, in a quick turnaround, pianist Gumbs. Mr. Smulyan gets right back up on stage at 7 p.m. as part of pianist Benny Green's Quartet (supported by the superb rhythm section of bassist Peter Washington and drummer Kenny Washington.) The evening closes on a high note (most assuredly a whole slew of high notes as well as many well-placed low notes) in the form of the Dirty Dozen Brass Band. The New Orleans-based septet hits the stage at 8:45 p.m. The fine sounds do not let up on Sunday. Harmonica virtuoso Gregoire Maret opens the afternoon of music at 12 noon with a Quartet featuring the excellent rhythm section of drummer Clarence Penn and bassist James Genus as well as the young pianist Federico Pena. Saxophonist Donny McCaslin makes his Litchfield Festival debut with his "electric" Quartet, showcasing drummer Mark Giuliana, bassist Tim Lefebvre and the fine keybaord work of Jason Lindner. They do their "thing" at 1:30 to be followed at 3:30 by the classic sounds of flutist extraordinare Hubert Laws and his Quintet. At 5:15, the Miguel Zenón Quartet takes over the stage - the fine composer and alto saxophonist (pictured above) is joined by his longtime crew of Luis Perdomo (piano), Hans Glawischnig (bass) and the splendid young drummer, Henry Cole. The Festival comes to a rousing finale with Kevin Mahogany & Dave Stryker's "Kansas City Swing." The vocalist and guitarist lead a band that features organist Jared Gold, drummer McLenty Hunter and Connecticut native Mike DiRubbo on alto saxophone. The last set starts at 7 p.m.
Great lineup - for more information, go to litchfieldjazzfest.com or call 860-361-6285. On Saturday (August 11), JazzHaven presents the New Haven Jazz Festival on the New Haven Green from 4:30 - 9 p.m. The event, free and open to the public, features Co-Op and High School Jazz Band of New Haven, young alto saxophonist Godwin Louis & his Quartet, percussionist Annette Aguilar's Latin Jazz Sextet and is headlined by the T.S. Monk Sextet. The son of the great iconic pianist/composer, T.S. Monk (pictured left) has worked very hard keeping his father's legacy alive as well as creating his own music from behind the drum kit. He's played jazz and blues, soul music and r'n'b and brings a fine sense of rhythmic excitement to the stage. For more information about the concert, go to jazzhaven.org where you will find the listings for many events in the Elm City area - you can also choose to support the ongoing efforts of the jazzhaven folks. Firehouse 12 in New Haven has just announced its Fall 2012 Jazz Series and, as expected, there are 13 fine concerts planned for the recording studio/performance space. Over the course of 13 Fridays (starting September 14 and running through December 14, with a week off for Thanksgiving), Nick Lloyd has brought back some favorites such as the Taylor Ho Bynum Sextet (December 7) and cellist Daniel Levin's Quartet (December 14) as well as fine young musicians such as pianist Dan Tepfer (his Trio will be in town on October 12), vibraphonist Tyler Blanton with saxophonist Joel Frahm (October 5) and drummer E.J. Strickland, who opens the Series. Among the surprises are the Fred Hersch Trio on October 26 (undoubtedly celebrating the release of their splendid new 2-CD set, "Live at The Village Vanguard" coming in September from Palmetto Records) and, on September 28, pianist Jamie Saft with his New Zion Trio (the Connecticut native has played twice in the past as a member of saxophonist Jeff Lederer's ensembles) will play a unique blend of reggae, jazz, trance music and Jewish mysticism. There's more, so you should go to firehouse12.com and look at the rest of the offerings (for instance, Donny McCaslin comes back to CT on November 16.) The consistency of this series and the wide variety of artists from across the creative music spectrum that comes to New Haven continues to impress audiences that come from across the state and its borders. Just seeing the lineup gives me hope of getting through the continuing election madness and the incessant craziness in the world. 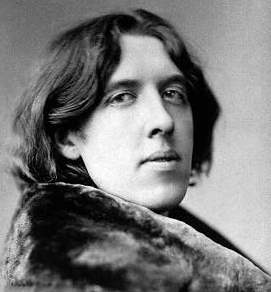 Not being one who ordinarily quotes Oscar Wilde (or, for that fact, Oscar The Grouch), I felt this title (a quote from Wilde) would work after listening to Jason Crane interview trumpeter-composer-educator John D'Earth on the most recent edition of "The Jazz Session." I highly recommend you click on the link on the top right of this post - it's a freewheeling conversation that touches on many aspects of the life of a modern musician. What stands out most in their give-and-take is the passion that Mr. D'Earth displays when he talks about music, about teaching, about being a member of a community. As listeners, music fans are always looking for that sense of passion in their favorite (or undiscovered) musicians and are usually excited when the music goes in different directions (not everyone, of course - nostalgia "sells".) To hear music of John D'Earth, go to thompsondearth.com/music.html. There's plenty of passionate music in the 15 performances that NPR (along with the fine folks at WBGO-FM and WGBH-FM) presented Saturday and Sunday from the 2012 Newport Jazz Festival. No, they did not get to every stage but what they did get to is very exciting and worth your time. From the gentle conversations of violinist Jenny Scheinman and guitarist Bill Frisell to the wonder-filled interactions of drummer Jack DeJohnette and his All-Star Band (guitarist Lionel Loueke, pianists Jason Moran and George Colligan, bassist Christian McBride and others) to the hip-shaking and soul-stirring sounds of the 3 Cohens, you will find music that makes you glad to be alive. And, in this time of uncertainty, brutality and political spite, music can be quite a salve. Go to www.npr.org/series/newport-jazz-festival/ to listen and, in many instances, download this bountiful harvest of modern sounds. Then, say "thank you" to the people who generously gave their time and money to bring us the Festival. This morning, I posted about the great year of music that New England Conservatory is presenting in Boston but there is also a New York City-area component in 2013. So, what follows offers a fuller description of the myriad offerings (and it's mighty impressive.) The press release comes from the fine folks at Braithwaite-Katz Communications. The possibilities are endless at New England Conservatory, which celebrates the 40th anniversary of its groundbreaking Contemporary Improvisation department with a year-long series of concerts and events in Boston and New York City. 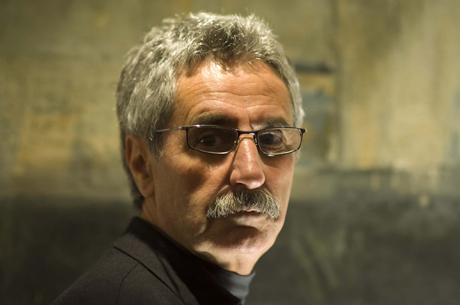 Featuring many of NEC’s distinguished alumni, faculty and students, and special guests, the Boston festivities include performances by Marty Ehrlich (pictured), Randy Weston, Carla Kihlstedt, Gunther Schuller, Anthony Coleman, Peter Row, Judy Bressler, Bert Seager, Linda Chase (with renowned poet Jane Hirshfield), The Sail Away Ladies (featuring Sarah Jarosz, Eden MacAdam-Somer and the Friedman Sisters), Dominique Eade, Manga Rosa, The Sol Y Canto Trio, Juanito Pascual, Lissa Schneckenburger, Dave Fiuscynski, CB Calloway Brooks, Ken Schaphorst, current department chair Hankus Netsky, founding department chair Ran Blake, and much more. Three New York events in March 2013 include a Contemporary Improvisation Showcase featuring renowned faculty and alumni; an all-day Contemporary Improvisation Festival in Brooklyn curated by Anthony Coleman; and a panel discussion and performance highlighting NEC’s pivotal role in the revitalization of Jewish music. In addition, this fall violinist/fiddler/vocalist/dancer/improviser/composer Eden MacAdam-Somer launches New England Conservatory's new Continuing Education/Preparatory Department program in Contemporary Improvisation. Initial offerings will include Music of the World, a Jewish Music Ensemble, an African-American Music and Improvisation Ensemble, the “Walking Between the Worlds” ensemble, and private instruction in ear-training, improvisation, composition and performance, all focused on preparing today’s musicians for twenty-first century musical careers. All courses and ensembles are open to the public for credit or non-credit. Among the upcoming events is the Opening Night, a showcase for current Contemporary Improvisation faculty, curated by Eden MacAdam-Somer, to be held in Brown Hall at NEC at 8 p.m. on Tuesday, September 4, featuring Ran Blake (pictured), Aaron Hartley, Anthony Coleman, Dominique Eade, Tanya Kalmanovitch Ted Reichman, Jerry Leake, Eden MacAdam-Somer, Hankus Netsky, Nedelka Prescod, Amir Milstein, Peter Row, Bert Seager and others. Multi-instrumentalist Marty Ehrlich, one of the most lyrical and inventive musicians around, follows with a week-long residency (September 5 – 13) including a talk on his music on Thursday, September 6 and a concert featuring NEC students and faculty on Thursday, September 13 at NEC’s Jordan Hall. Master Class “Expanding the Possibilities of the Double Bass” with bassist/composer Mark Dresser (pictured) at 10 a.m. on Friday, September 14 in the Keller Room, NEC. Master Class with prolific composer, improviser, and pianist Satoko Fujii at 12 noon on Tuesday, September 25 in Pierce Hall, NEC. Dominique Eade, Faculty Recital, 8 p.m. Thursday, October 11 at NEC’s Jordan Hall. Bert Seager’s Kombucha and Carla Kihlstedt’s Rabbit, Rabbit, at the Regattabar, Tuesday, October 16 at 7:30 p.m.
*Tickets required. Go to www.regattabarjazz.com. There's plenty more so go to necmusic.edu/ci40. For those of you who live in the Boston, Massachusetts, area or might be planning a trip to those parts, The New England Conservatory has just announced its new season of concerts and master classes. Below is an abridged schedule (many of the events taking place in Jordan Hall, pictured on the left) - you can find out much more by going to www.necmusic.edu/jazz. Highlights include a Bob Brookmeyer Memorial Concert, The NEC Jazz Orchestra in concert featuring the music of Miguel Zenón, Randy Weston with The NEC Jazz Orchestra, Faculty Recitals by jazz masters Dominique Eade, Ken Schaphorst, and Fred Hersch, the Pierce Series - 26 concerts by exceptional student ensembles – and many more. All concerts at 8 p.m. except Pierce Series Concerts which take place at 7, 8 and 9 p.m. Featuring NEC student ensembles coached by Dave Holland. Thursday, November 29: NEC Jazz Orchestra "Rebirth of the Third Stream"
There are also plenty of concerts featuring student-led ensembles and an exciting Spring 2013 series. The Uncertainty Music Series, concerts and performances curated by bassist/composer Carl Testa, presents Mario Pavone's Double Bass ARC on Saturday August 4 at 8 p.m. in Bru Cafe, 141 Orange Street in New Haven. Bassist/composer Pavone (pictured left), a Connecticut native who continues to make important and exciting creative music, has organized this particular ensemble using a combination that one of his early mentors, Bill Dixon, enjoyed. He pair his bass with that of Carl Testa's, adds the dynamic drumming of Gerald Cleaver plus the trenchant cornet and trumpet of Dave Ballou. One should expect music that blurs the lines between composition and improvisation as well as putting the focus on the interplay of the musicians. The Bru Cafe is Orange St and Chapel St next to the Devil's Gear Bike shop - it's a good venue in that the space allows for the audience to get close to the musicians and watch the creative process at work. For more information, go to uncertaintymusic.com. 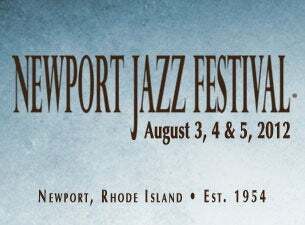 'Tis the weekend for the annual Newport Jazz Festival, 3 nights and 2 days of exciting performances in one of the more pleasing outdoor venues in the Northeast, Fort Adams State Park. The lineup is, as some might intone, "to die for" (see the whole weekend here); Friday night's show takes place at the International Tennis Hall of Fame at the Newport Casino and is an evening of music from the Crescent City featuring Dr. John & The Lower 911 plus the Preservation Hall Jazz Band. 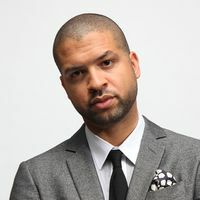 Among the highlights on Saturday will be performances by The Bad Plus + Bill Frisell, Sound Prints: the Joe Lovano & Dave Douglas Quintet, the Pat Metheny Unity Band, Darcy James Argue's Secret Society, 3 Clarinets: Ken Peplowski, Evan Christopher & Anat Cohen, and 2 groups featuring drummer Jack DeJohnette (pictured left) in the driver's seat including his quintet of Rudresh Mahanthappa (alto saxophone), George Colligan (piano), Jerome Harris (acoustic bass guitar) and Dave Fiuczynski (electric guitar). Sunday's highlights (as if Saturday's lineup wasn't impressive enough) include Ryan Truesdell's Gil Evans Centennial Project, the Maria Schneider Orchestra, the 3 Cohens (Anat, Avishai and Yuval - pictured below), The Claudia Quintet +1, Miguel Zenon's Rayuela, Rudresh Mahanthappa's Samdhi, Gretchen Parlato & Lionel Loueke, the Ambrose Akinmusire Quintet, Kurt Elling, Jenny Scheinman & Bill Frisell and more! Yes, there are 3 stages and yes, there's always scheduling conflicts but what a lineup. For those of us who cannot attend, NPR will be streaming video live both Saturday and Sunday (and, as they have in the past, archiving the performances for further and future enjoyment.) Keep your browser set at www.npr.org/blogs/ablogsupreme/ and much will be revealed. Right now, the good folks at NPR have an audio stream of this year's artists as well as classic performances from previous summers going on a 24/7 stream at www.npr.org/2012/07/30/157358598/newport-jazz-2012-the-preview-mix?ps=mh_frimg1.